But what do critics know?! 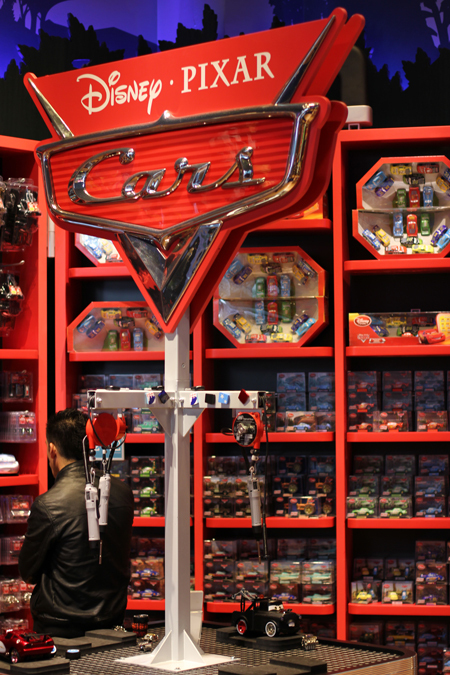 According to the Wall Street Journal, Cars 2 is already a hit based on its merchandising alone, having consistently generated around TWO BILLION DOLLARS worth of revenue every year without the help of a sequel. I can attest to this, since I’ve visited my local Disney Store. But what I never thought I’d live to see is a day when critics band together to universally pan a Pixar movie. Now, I’m no fan of the original Cars, but I can accept that: It’s not for me – no biggie. Besides, even as “the worst Pixar film” it’s better than all the Shreks, Madagascars, and Ice Ages combined. They’ve had a great streak for the last 25 years, but now they seem content to coast from sequel to sequel, and basically the last thing I ever wanted to see from one of my favorite animation companies appears to have happened with Cars 2. After all, nobody wanted to see a bad Pixar movie right? Now that’s happened, and yeah, I’m filled with geeky rage, which I hope explains why I’ve placed some of the more damning quotes from bad reviews next to the smiling faces of characters I currently dislike more than ever.